Corporate Services | WeTip, Inc. The WeTip National Organization provides the corporate security program to companies to combat workplace violence, corporate fraud, drugs in the workplace, loss and risk caused my criminal activity, anonymous workplace reporting systems, and tracking and monitoring the deterrent factors. The WeTip Organization recognizes the need to provide this anonymous reporting program to assist the corporate community in securing their workplace internally and externally. WeTip realizes that the best source of information regarding threats and loss in the workplace is the workers. Therefore, WeTip has made resources available to the corporate community and is partnering with the workplace in their efforts to deter and stop criminals and or terrorist from striking within. The workplace fraud and theft workshop is designed to expose managers and administrators to incidents relating to massive workplace losses that are attributed to internal fraud and theft. This workshop will provide insight on vulnerable areas, creating a work environment that will help to uncover and correct problem areas, surveillance systems, employee participation in anonymous reporting, high-stress scenarios, corporate security and violence, and emergency response. Reduce and eliminate threats, violence, property crimes, vandalism, fraud and thefts that affect the company. Reduce risk and loss to company caused by violent crimes, property destruction fraud, theft and arson. Provide a way for all employees at all levels to communicate information about problem situations anonymously and without fear of reprisal or retaliation. Develop an emergency plan that includes the WeTip Hotline for reporting any type of threat or crime situation BEFORE it happens. Uncover misconduct and corporate hazards. Increase the likelihood of corrective action and reducing reoccurrences. Aid for security and law enforcement personnel during and after the incident. Through WeTip’s Corporate Safety program, WeTip works with thousands of companies nationwide to create a safe and secure environment for all employees that is free of crime and threats. 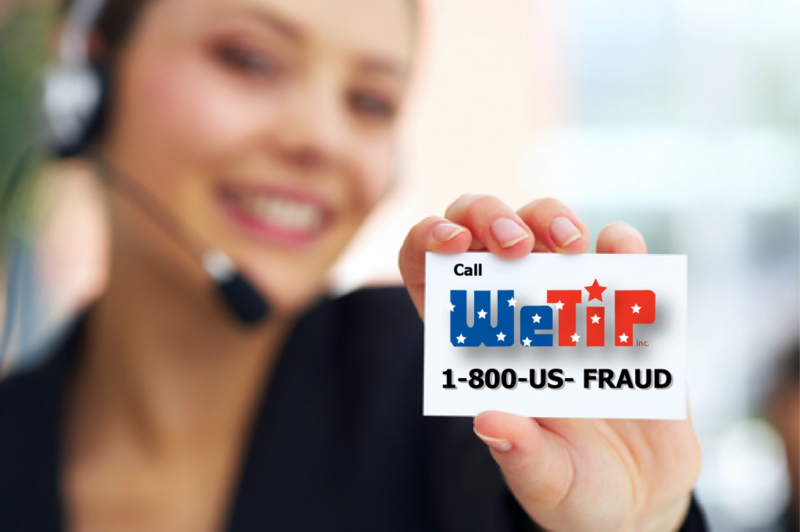 WeTip is a clearinghouse on crime reports, providing the nationwide anonymous hotline, reward payments, training for corporate security officers, administrators and crime prevention officers.